Create cute masterpieces to display with the six pastel markers provided in this amazing kit! 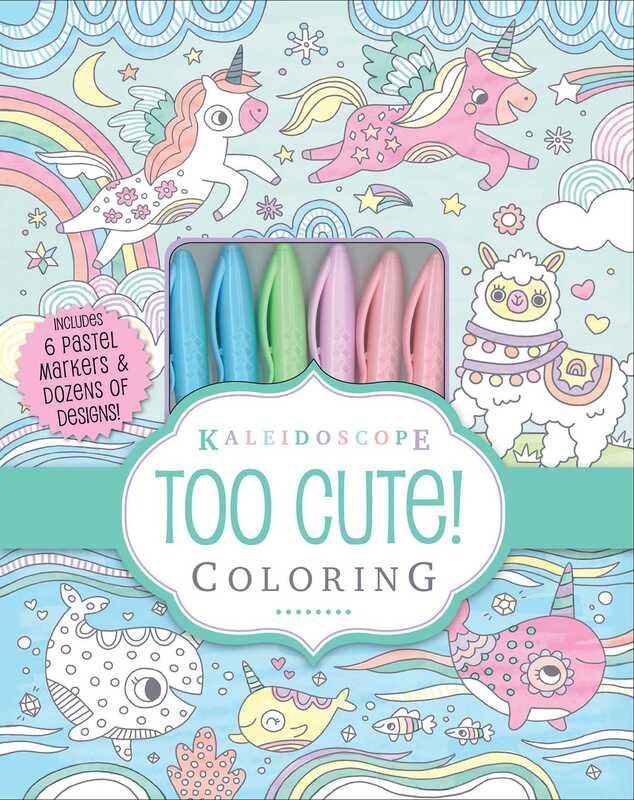 Doodle, color, and design adorable narwhals, fabulous unicorns, loony llamas, and more with the six pastel markers contained in this kit! With instructional hints to make your designs uniquely you and plenty of pages waiting for a creative touch, this kit is a wonderful gift for artists of all kinds. With tear-out pages so you can display your masterpieces when you’re finished, this kit is bright, bubbly, and just too cute!